For the past two months, I’ve been knitting my first sweater. I can’t believe I finished it! It’s the first thing I’ve knit that’s not a flat rectangle. Knitting a garment like a sweater is terrifying. Because you’re creating the fabric as you sew the garment, you don’t actually know that it’s going to fit until the very last moment. And if it doesn’t, you have to knit any number of pieces all over again. So I was very nervous to tie off the ends and try it on! 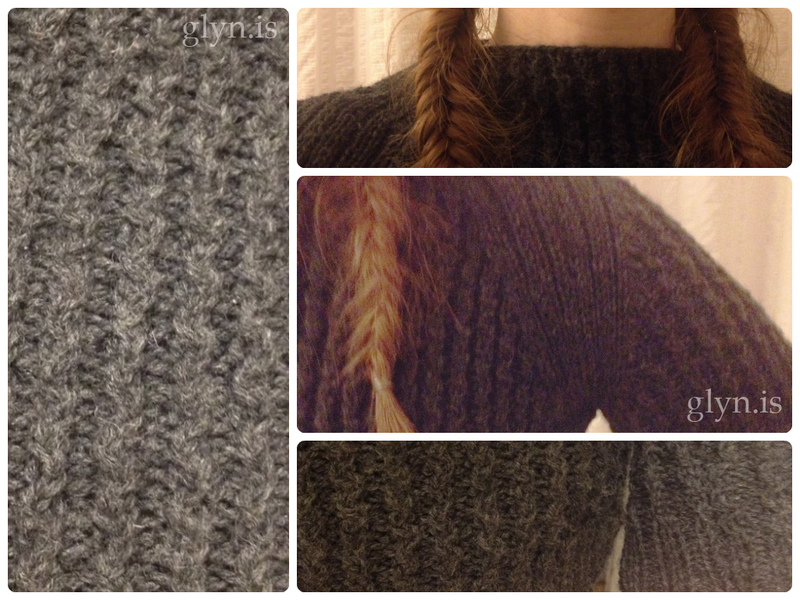 The original pattern came from a Rowan knitting book, the yarn from Valley Yarns. The sweater was longer and the back was saggy, so I adjusted it to my liking. I also lengthened the sleeves to match my lanky arms better and, very thankfully, they fit. Knitting allows me a healthy release for my unhealthy perfectionism, so I think I ended up taking out each piece three times each. Now that it’s finally done, I’m not sure what I’ll knit next. It’s between a cat hoodie from scrap yarn, or investing in some nice wool for a deer patterned set of socks, gloves, and a hat (just in time for winter to be over). 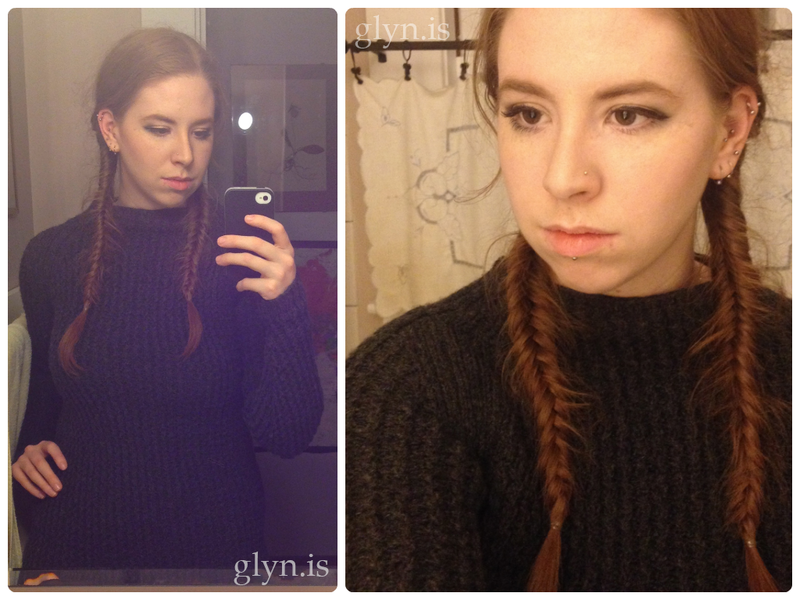 For now, enjoy the pictures of my frizzy fishtail braids and the finished sweater.